As a sponsor of the young and very talented Ruben Hague, we were happy to hear that his presence at the Autosport International Show 2018 was well received! From a successful career (ALREADY!) 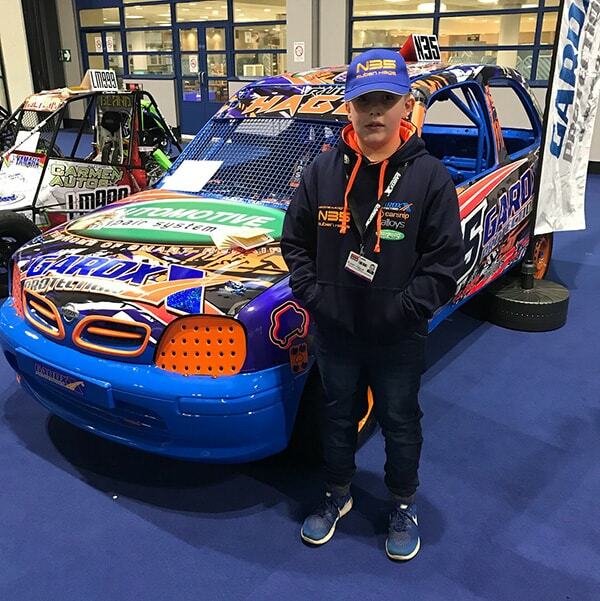 as a go kart champion, the young Autograss racer was on fine form speaking to fans on the National Autograss Sport Association’s stand which attracted huge crowds throughout each day. Backing Ruben for the last few years has been a privilege, seeing him excel at such a competitive motorsport and be able to sponsor a real up and coming champion is great opportunity. Here are a few photos throughout the day.